It's in the name, silly! Let it be known that this is the summer I FINALLY figured out how to grow hydrangeas! 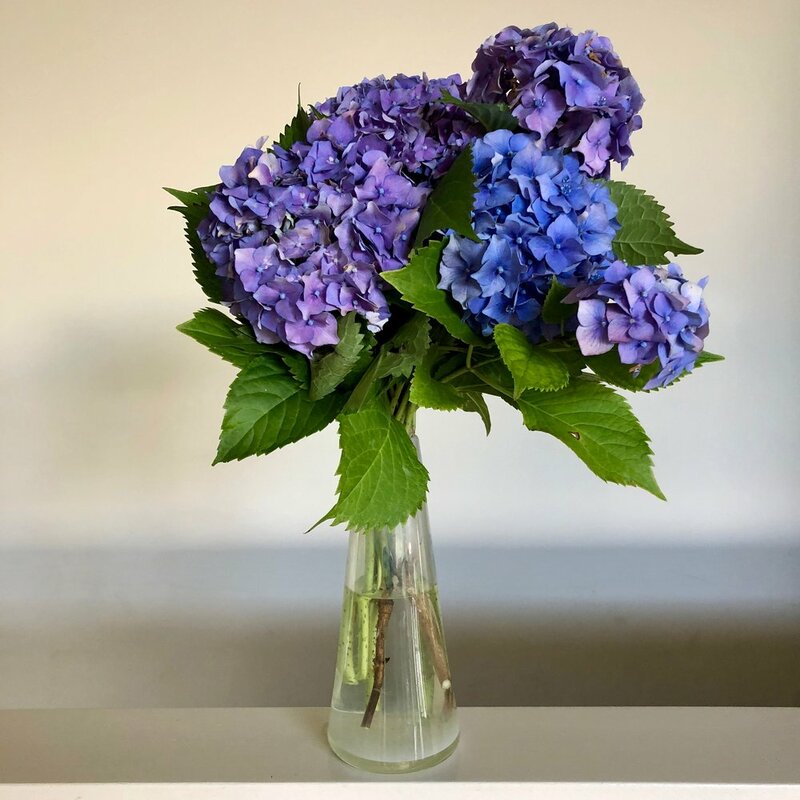 I don't think hydrangeas are particularly known for being finicky or difficult to grow but, after several failed attempts, I was about to give up. To be honest, I fully intended to blame our location - we have no truly shady spots and a lot of very rubbish "soil", so maybe it is too harsh for hydrangeas in this garden. They're English cottage garden plants, after all... perhaps it just wasn't meant to be at Widgetopia? Except, I didn't want to give up because I love hydrangeas! They look amazing in the garden, but equally as wonderful in a giant vase. And giant vases of flowers is the only kind of "decorating" I do. Anyhoo, at the start of last summer I moved the remaining, almost-dead clump of hydrangeas (the last of three plants I had tried in various places, and which I had replanted twice previously) to the garden just outside our bedroom. 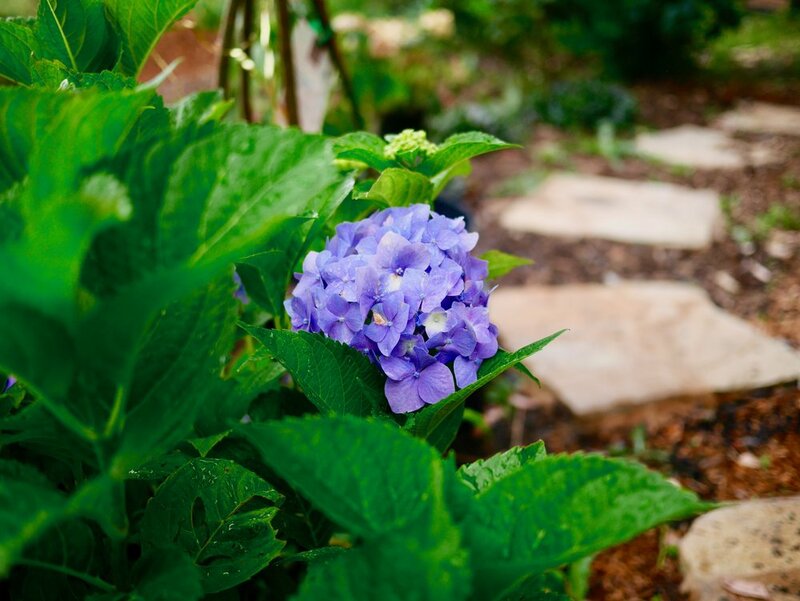 It is not a true "shade" garden, but I figured hydrangeas do need a fair amount of sunshine to get decent blooms, just minimal harsh afternoon sun and protection from the worst of the hot, dry summer winds. The garden outside our bedroom is the only one which vaguely meets these criteria right now. How lucky that we moved them there! Firstly, the water bombing aircraft had a direct hit over that corner of the house, so it was the only section of garden saved from the bushfire. And secondly, that sad, almost-dead clump decidedly loves this garden and has gone bananas! So, certainly, I think location counts for a fair bit. But you know what I really think made all the difference? WATER! Lots and lots of water! 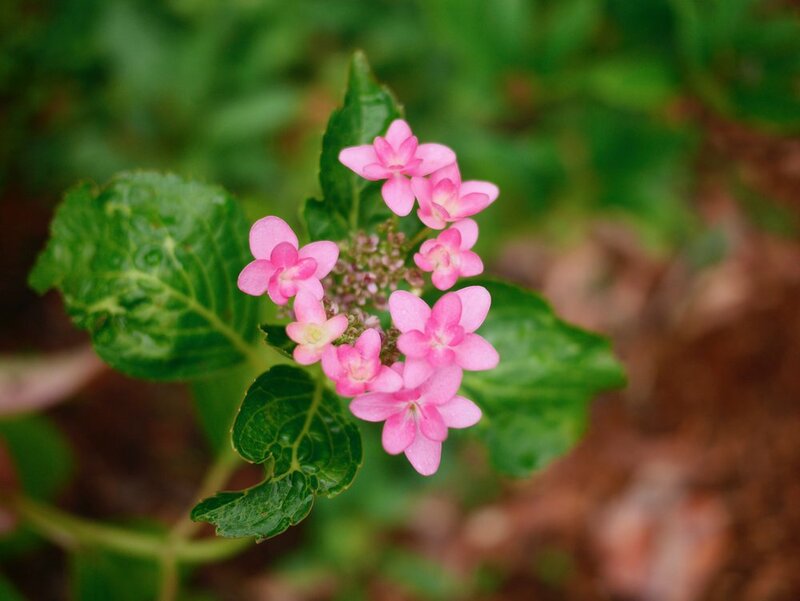 Who would've thunk that a plant with a name derived from two Greek words - hydor meaning "water", and angeion meaning "vessel" - would thrive with lots and lots of water. Duh! We exist solely on tank water here. We have no dam (although we hope to put one in eventually) and no bore (which is fine by me, as I have real concerns about the ramifications of the large-scale removal of water from the water table). Our garden takes the majority of our water, but if we run out, the garden has to go without. As such, we water everything minimally and know that things will take a lot longer to grow as a result. But with so little garden left, this year everything remaining or replanted is getting a lot of love and a lot more water than in years past. As a result, this sad little hydrangea bush has taken off. Never one to do things by half, my surprise at keeping one bush alive has led me to put in five more. Four of them are doing okay but certainly won't flower beyond their potted flower heads this year, but one is starting to re-bloom. Very exciting! I honestly can't remember which variety this pink one is but I believe it is a lacecap type. 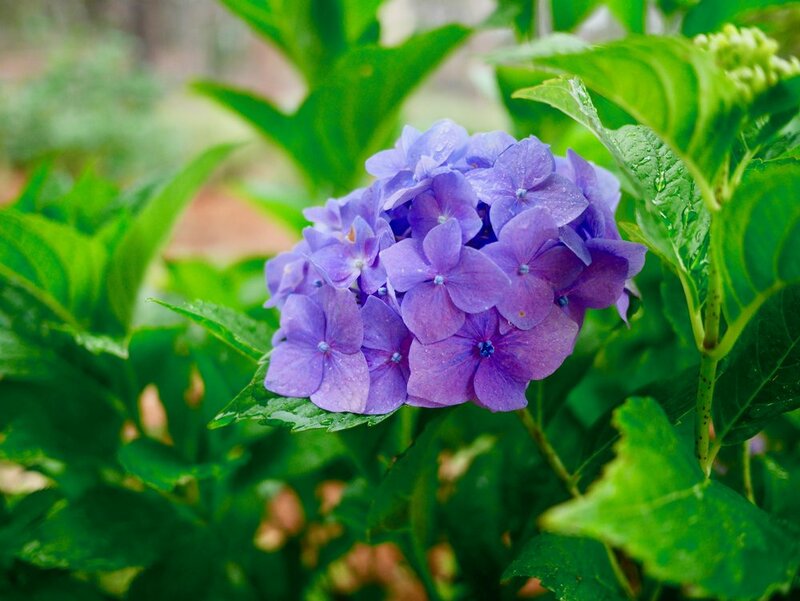 This means that its colour will likely change to blue/purple over time as a result of our slightly acidic soil, like other H. macrophyllas varieties. I've also decided that 2018 is the year I learn to propagate from cuttings, so I am trying my hand at that with some hydrangeas from my parents' house... not as confident about this project, but I will report back if I have any success.